This guest blog is from the lovely Karolina Anilorak who is a birth photographer in Edinburgh. I was lucky to have a truly enjoyable and fulfilling labour and birth, my only slight regret would be that I have no photographs to document the wonderful experience; I wish I had known Karolina when I was giving birth! 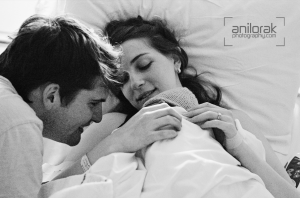 Here she shares with us five benefits of hiring a birth photographer. The day your child is born will become one of the most important and amazing days of your life and you will probably want to have it documented in some way. In this digital age it is easy enough for your birth partner to snap a few pictures with their smart phone as soon as your baby is born, so why should you hire a Birth Photographer? According to The International Association of Birth Photographers (IAPBP), each year more and more parents invite professional photographers to witness and capture their birth experience. The documentary nature of this type of photography means that there is no posing, backgrounds or props – a birth photographer is not there to only take pictures of your private parts and they are not going to ask you to smile in the middle of an intense contraction. 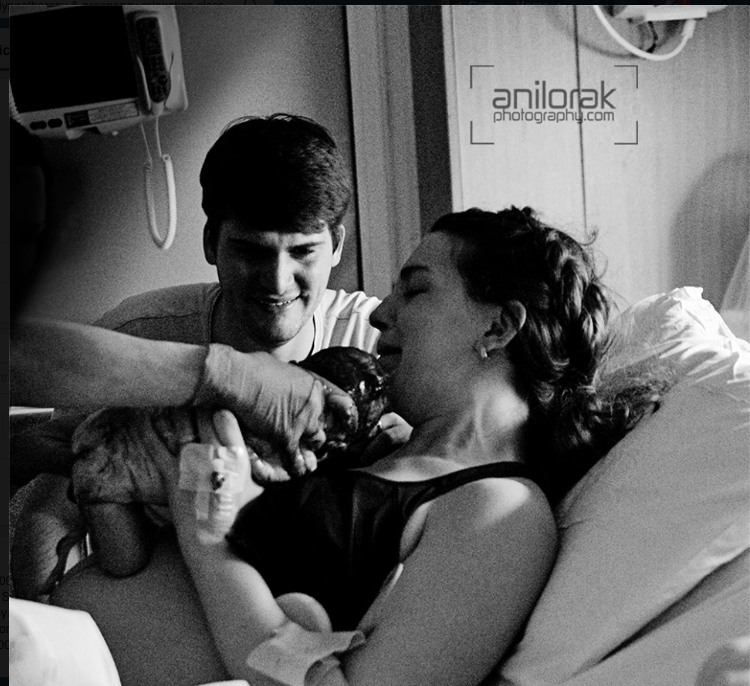 Birth photography is documentary photography at its core and birth photographers are flies on the walls who document your Birth Story as it unfolds, capturing every little detail of your birth experience. Birth Photography is still very new in the UK and especially Scotland. It is, however, completely normal and appropriate to hire a professional photographer for other once in a lifetime occasions like weddings or christenings – these are the days we want to capture and be able to look back at, but what about the day your child is born? It will probably be the most life changing experience you will ever have, so why wouldn’t you want it documented professionally? You will forget. You carried this beautiful baby of yours for many weeks and months and you worked so hard to welcome her into this world. You can often hear stories that mums can’t really remember the exact timeline of their birth events, everything may seem like a blur and the little details of your birthing space may go unnoticed. With all the hormones and often sleep deprivation it is only natural that many small details of baby’s birth story will fade. Naturally, memories will also fade with time. Having a birth photographer capture your story will enable you to look back at the tangible record of your baby’s birth – the first time you saw him and the first time dad got to hold her, the look of achievement and pride you share between the two of you, the day your life has changed completely – it will all be captured in beautiful photographs and will make you feel amazing every time you look back at them. Fathers and birth partners should be in the photos, not taking the photos. Your baby’s birth will be a very emotional experience to dad as well as you. He shouldn’t have to worry about getting the shot and fiddling with the camera settings. He is there to support you and be part of the story – this is life changing for him too, so let him give you all of his attention and support without having to worry about the pictures. You will love looking back at them and seeing what a great team you both are. And as for your birth team – they are emotionally invested in the process, they are there to support you give birth and they are part of your birth story, hence they shouldn’t be stuck behind the camera – they should also be included in those precious images. Birth story is made of many beautiful moments. 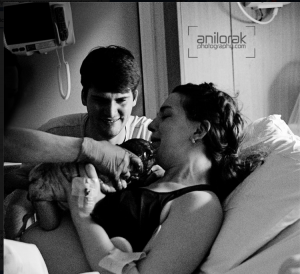 Your birth photographs will remind you of the moments you might have not even been aware of – the way your partner held your hand or the look on your faces when you were told that the baby is coming. You will have a record of your baby’s first breath, their first cry, the first time you cuddled them, first time you kissed them, first sense of achievement, relief, pride and unconditional love. 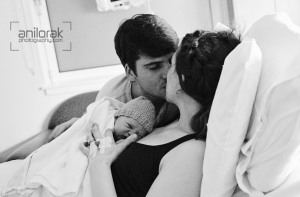 Your first moments as a new family will be captured for you to keep forever. Not to mention all the little details that will change within just hours of the birth – their feet will stretch and their head shape will change, but you will always be able to remember the way they looked the first time you ever saw them. A professional photographer knows what they are doing. The light and space can often be very restricted during the birth. A professional photographer knows their gear and is able to produce quality images in any conditions. 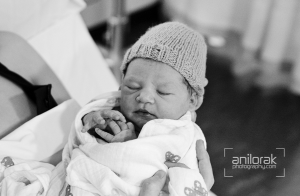 Their hands won’t be shaking and the photographs will reflect the actual mood and atmosphere of your birth space. A lot of photographers choose to only use available light and make it work to their advantage without using the flash which can be quite intrusive to both the mother and her birthing team. They are also familiar with the process of labour and birth – they know what moments to look for and are prepared to adapt to sudden changes while consistently and unobtrusively capturing your birth story. Birth is beautiful. Every time a baby is born it is a miraculous event and there are no do-overs. Birthing is one of the most important journeys in one’s life and it deserves to be documented. You might regret not having any photographs of your birth story, but you will never regret hiring a professional birth photographer.